We are proud to introduce Mars. Mars Created with passion, full dedication and a strong emphasize on a top-notch aesthetic quality. 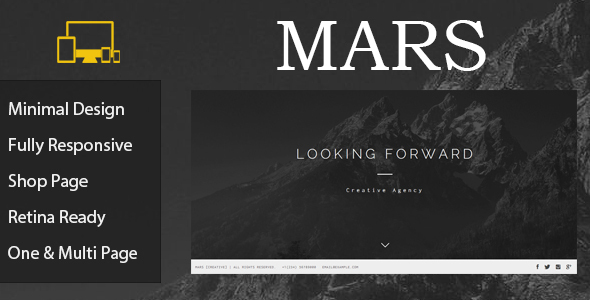 Mars is an creative theme designed for creative professionals and agencies. This theme is suitable for business, corporate, blog, portfolio and any kind of websites.